As we continue our 60 Days of Summer Fun with a focus on Reading, we present Part IV: Great Reads for Boys, with special attention to reluctant readers. 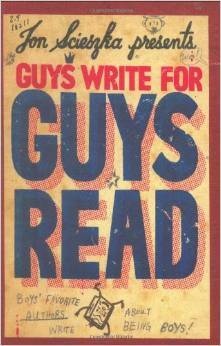 The trick with boys- as is often the case with girls, is to let their interest guide their reading. If they love Star Wars, then give them graphic novels about Star Wars. 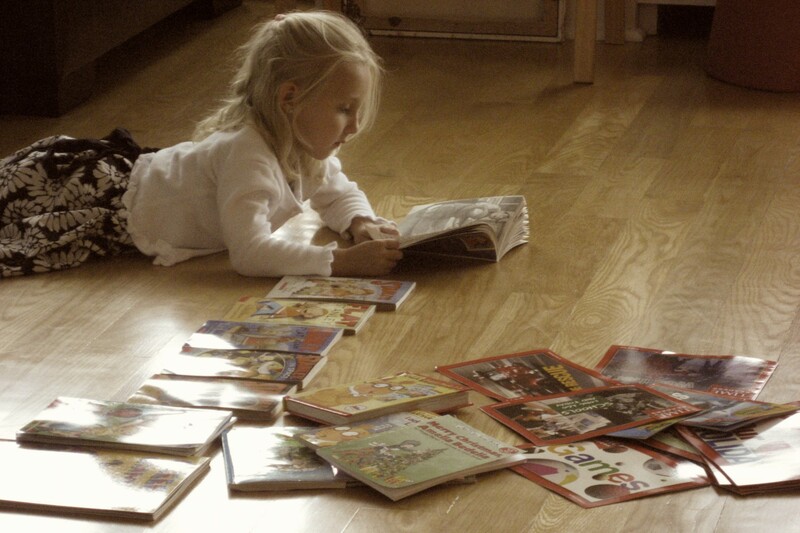 If they are into Legos or MineCraft, pick a non-fiction read about each. Just go with it and before you know it, more genres can be explored, like poetry through the lens of Shel Silverstein. Be sure to make read alouds a part of each week, or day if necessary and alternate who reads between you and your son for each page or paragraph. 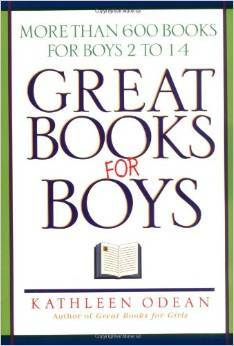 Boys Read.org is an excellent resource for books for boys categorized by topics like sports, fantasy, humor and more. 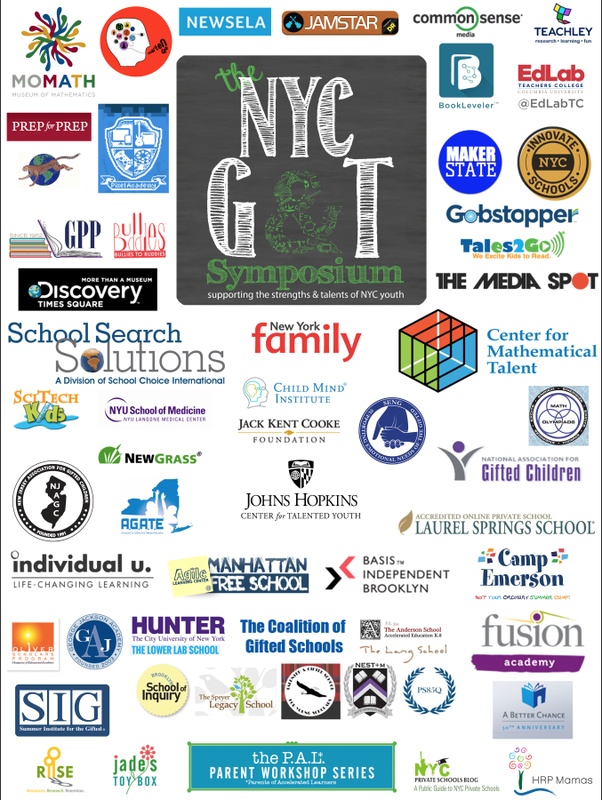 Guys Read, a web-based literacy program for boys founded by author and First National Ambassador of Young People’s Literature Jon Scieszka.. Its mission is to help boys become self-motivated, lifelong readers. Good Reads. A book list for and about boys for the middle and teen reader with a male protagonist. 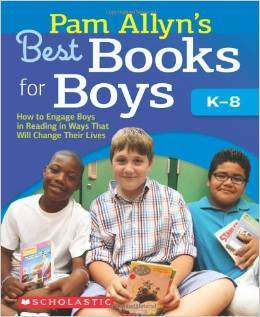 Best Books for Boys by Pam Allyn. Get all boys reading with this guide—chock-full of a wide range of must-read titles organized by interest, age, and development. For use with K-8th boys, the book selections are accompanied by brief explanations of each book, and a recurring feature, Talk About It, that helps extend the book through conversation. Ready-to-use lessons align with themes and topics of special interest to boys that will motivate and inspire them to read more. 175 Cool Boys from Children’s Literature by Jen Robinson. Top 100 Young Adult Novels by Persnickety Snark. An older list, but still a goodie. A Reading List for Teen Boys. Former UK Education Secretary Alan Johnson launched a campaign to get teen boys reading for pleasure. 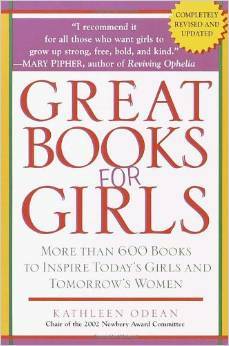 This list of over 160 titles all appeal to teens, particularly 11-14 year old boys. A few are not yet available in the U.S. – those are listed only with U.K. links. Great Books for Boys by Kathleen Odean, a former member of the Caldecott and Newbery Award committees and author of the groundbreaking bestseller Great Books for Girls has compiled and annotated a unique collection of more than six hundred books–picture books, novels, mysteries, biographies, sports books, and more–that will fascinate and educate boys. Here are classic characters such as Frog and Toad, Bilbo Baggins, and Encyclopedia Brown; new favorites such as Bingo Brown, Martin the Warrior, and Harry the Dirty Dog; and real-life inspirations such as the Wright brothers, Jackie Robinson, and Jacques Cousteau.